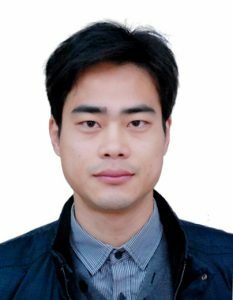 Dr. Chaotan Sima is an associate Professor in School of Optical and Electronic Information at Huazhong University of Science and Technology, Wuhan, China, and a research scientist in Next Generation Internet Access National Engineering Laboratory. In 2006, he graduated from Huazhong University of Science and Technology with the distinguished bachelor degree. In 2013, He obtained the PhD degree in optoelectronics, under the supervision of Prof. Peter G.R. Smith and Prof. Michalis N. Zervas at the Optoelectronics Research Centre in the University of Southampton, with the project of planar Bragg grating devices for advanced optical communication systems. After the industry experience as a research manager, he joined the School of Optical and Electronic Information in Huazhong University of Science and Technology in 2014. Currently his research interests include integrated photonic devices, optical communication, and optical sensing. Dr. Chaotan Sima has authored/co-authored over 40 international publications, some of which are invited, from journals such as Optics Letters and Optics Express. He has been the PI for several grants from National Natural Science Foundation of China and collaborated projects from industry. He serves as a frequent reviewer of OSA, IEEE and IET technical journals. He is also the TPC member of international optoelectronic conferences, as well as a member of OSA and IEEE.